Information: Greg Mangum is the Pastor of Old Paths Baptist Church in Meridian, MS. He was inspired by Southern Gospel music at a very young age. 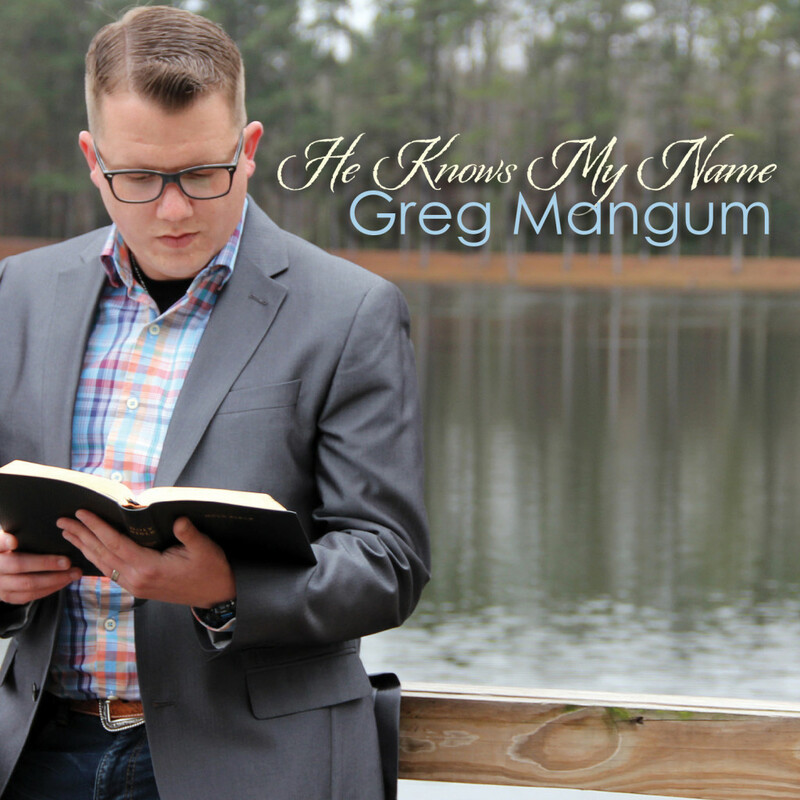 Greg began taking Music Ministry Seminary classes at a young age right out of high school with the plan of becoming a church Music Minister. Greg served several churches in Mississippi as Music Minister and Youth Pastor, over the next years before feeling led to serve as a Pastor and Church Planter. He and his wife, Brittney, and their son Kamryn live in the town of Stonewall where he serves as a Town Alderman. Greg enjoys sharing the Gospel of Jesus Christ every week at Old Paths Baptist Church through preaching from the Word of God and through song. Greg shares in song and preaching in revivals every chance he gets the opportunity. This is Greg's debut release to Southern Gospel radio, "He Knows My Name".